Kahlua liqueur has become very popular recently. If you're not yet familiar with Kahlua, check out what Michelle Sanders had to say. Michelle is the senior brand manager for Kahlua at Pernod Ricard USA. LoveToKnow (LTK): Michelle, for people who haven't tried Kahlua, would you please explain what it is and what it's made of? Michelle Sanders (MS): Kahlua is a coffee liqueur made from the highest quality hand-picked 100 percent Arabica coffee beans. [They are] roasted to perfection and then blended with cane spirit and vanilla, creating a unique and delicious taste. LTK: Just how popular is this liqueur? MS: Kahlua is actually the number one selling coffee liqueur in the world. LTK: Would you tell us about the different flavor varieties of Kahlua and offer a few tips on how best to use them? MS: In addition to classic Kahlua, the portfolio includes French Vanilla, Mocha and Hazelnut. We also have a higher proof, bolder-tasting variant, Kahlua Especial, which is a favorite with mixologists. For the holiday season, we will be introducing something very special, Limited Edition Kahlua Peppermint Mocha. This is a luxurious balance of 100 percent Arabica coffee beans shade-grown in the Veracruz region of Mexico, combined with cool peppermint and the decadent taste of dark chocolate derived from the finest cocoa beans. It's perfect over ice, in hot coffee or -- my personal favorite way to enjoy it -- in hot cocoa with whipped cream and a peppermint stick. Add the liqueur, vodka and espresso to a shaker filled with ice. Shake everything together until well chilled, and then strain the contents of the shaker into a traditional martini glass. For an added touch, you can garnish your martini with a few coffee beans. LTK: Can people use other coffee liqueurs in their cocktails if they don't have Kahlua brand? MS: Kahlua coffee liqueur is truly one of a kind. It is not only steeped in history and tradition, but has been perfected and refined in order to exemplify the highest quality of coffee liqueur. The coffee beans used in Kahlua are shade-grown, allowing the beans to slowly ripen and develop a deeper, more refined flavor. They are hand picked and inspected, and have been since 1936. Additionally Kahlua's blend of cane spirit and vanilla make it unique. LTK: What are the best mixers to use with this liqueur? MS: Kahlua is very versatile and lends itself to experimentation. In addition to coffee, club soda and cola, you might try mixing it with citrus, such as freshly squeezed lime juice, for an unexpectedly delicious treat. LTK: Can you share a few more recipes for your favorite Kahlua cocktails? Just pour the liqueur over ice and garnish it with a wedge of lime. You should serve this beverage over ice in a tall glass with a straw. LTK: It seems like this liqueur is mainly used in chilled cocktails. Can you share a recipe for using it in a warm drink? Pour these ingredients together in a mug and add milk or cream if you like. You can garnish your coffee with whipped cream and even cinnamon or chocolate shavings to top it off. 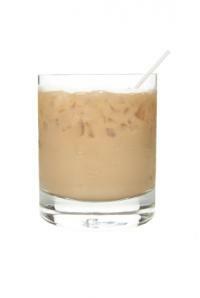 If you love coffee, give Kahlua drink recipes a try. As Michelle Sanders has shared, Kahlua is a versatile liqueur that can create a number of delicious drinks.